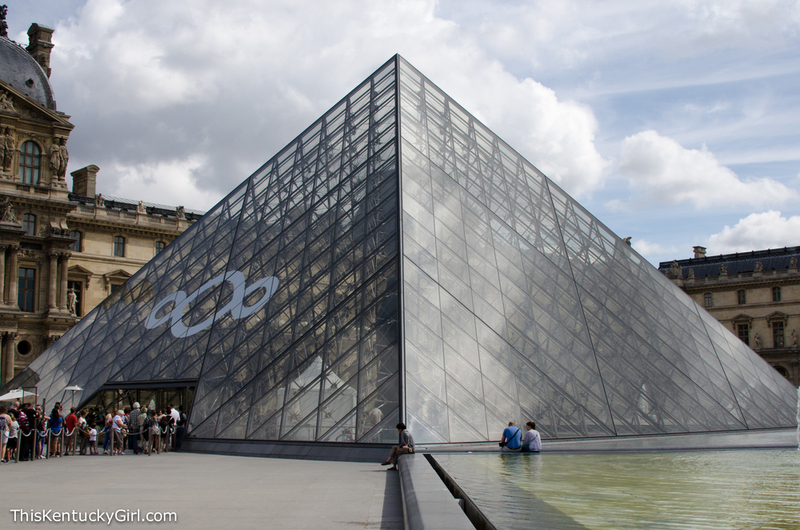 Did you know the Louvre is the most visited museum in the world? I overheard a young boy tell his mother in line that if you looked at every piece for one minute, it would take several days. 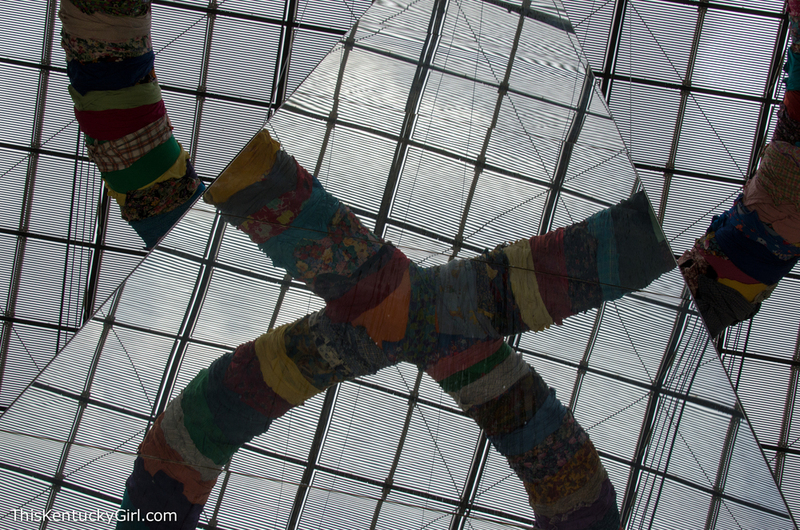 It makes sense, there are around 35,000 different objects, art works, sculptures on display. 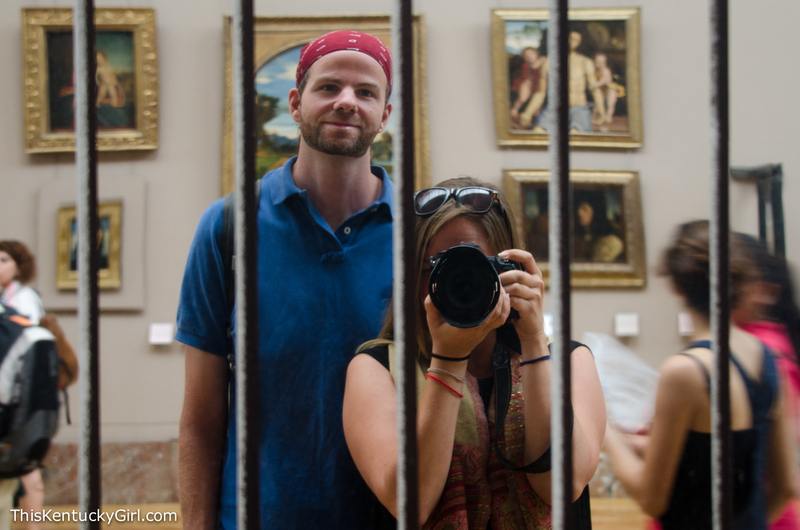 Instead of seeing it ALL, we hit my favorites, stopped by the Mona Lisa, lingered for a few pieces in between and made our way out to take in the Tuileries, walk down the Champs Elysees and the Arc de Triomphe! We took our chances and headed towards the Pyramids (entrance) and lucked out with only a twenty minute wait to get inside! While Andrew read the news, I occupied myself by taking pictures (of course) of the entrance as we moved closer and closer to getting inside. The Louvre hasn’t changed one bit since my last visit. Except, possibly, again, it felt like there were ten times as many people visiting. It’s a bit overwhelming with different wings full of art, and different levels of modern additions mixing with the old palace layout, and sometimes long halls packed full of paintings from the floor to the ceiling. 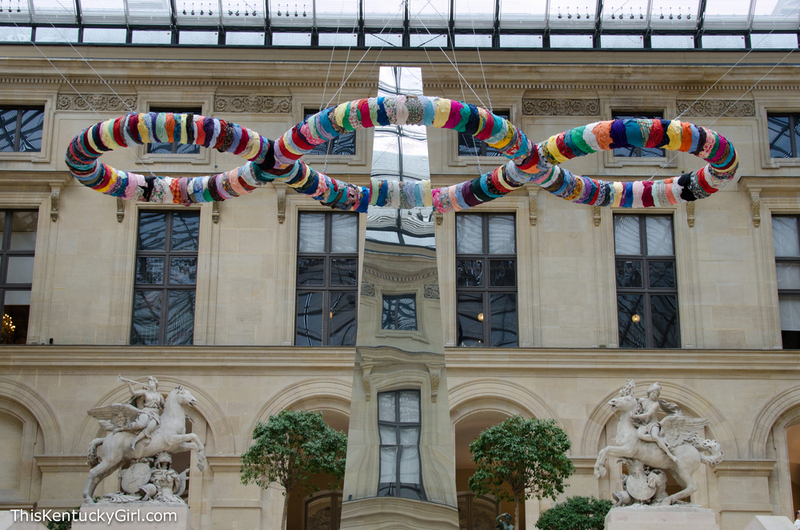 While we were there, we couldn’t help but notice the works of Italian, contemporary artist, Michelangelo Pistoletto. I didn’t quite get his pieces, but some of them made for very fun photographs! 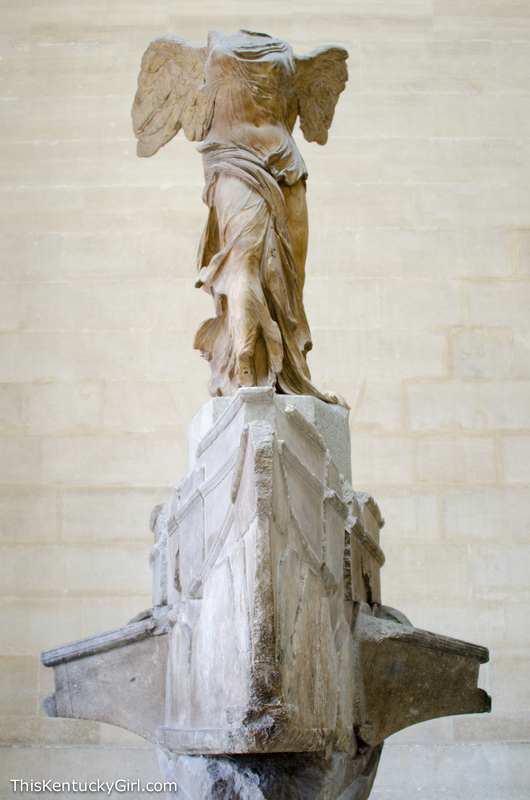 Not wanting to get worn out looking at pieces that weren’t my favorite, I dragged Andrew out of one wing and into another in search of “La Victoire de Samothrace” also known as Winged Victory of Samothrace. This may (or may not?) be a bit of a cliché, but it’s one of my most favorite sculptures ever. I think it has something to do with the placement inside the museum, there’s this long hall that leads up to a very grand staircase upon which the sculpture sits upon. It’s Greek, as it’s dedicated to the goddess, Nike, and was created around 200-190 BCE. I mean, think about it, how incredibly old this beautiful sculpture is! Click on the link if you want to read more about it. I sat next to the sculpture and read the information card while Andrew struggled to keep his eyes open. Maybe you won’t be as interested in its history as I am, so I won’t go on and on about what I read (or reminded myself about on Wikipedia) so I’ll let you take care of searching for more information on your own! 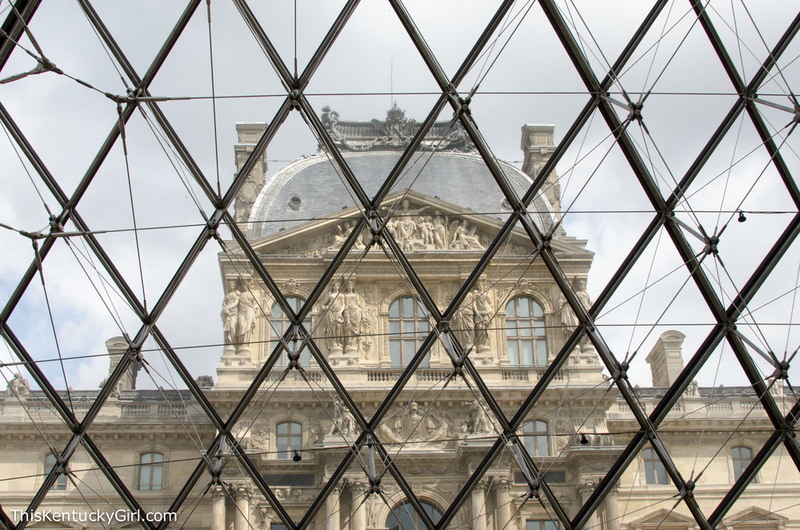 Usually we aren’t so lucky with our timing, but I just visited the Louvre website and discovered the sculpture will be under conservation from September until the summer of 2014! Plan your visit accordingly! You won’t be disappointed! We walked through the Denon wing (I think it’s the best wing) in awe of the art, but also of the crazy (CRAZY!) amount of people. I didn’t even bother trying to get close to the Mona Lisa and instead took a few pictures to show you just how popular the piece is (which I’m sure you’re already aware) and while Andrew tried to get close to the Venus de Milo, I busied myself photographing the young woman visiting in a beautiful kimono. On our way out, past the inverted pyramid, Andrew pointed out the new Apple store to me. “I told you!” he declared. He had mentioned there being one and I was in denial. But sure enough, it seems since my last visit a mall has been established inside featuring select stores and even some American fast food chains. It felt wrong. Back outside, we walked through the Tuileries, enjoying the green space and (for the most part) lack of traffic in the beautiful public park. Forgetting just how far the Avenue des Champs-Élysées was, we simply kept walking… and walking… and walking… and maybe we ducked in a store (or two) before finally arriving at the Arc de Triomphe. 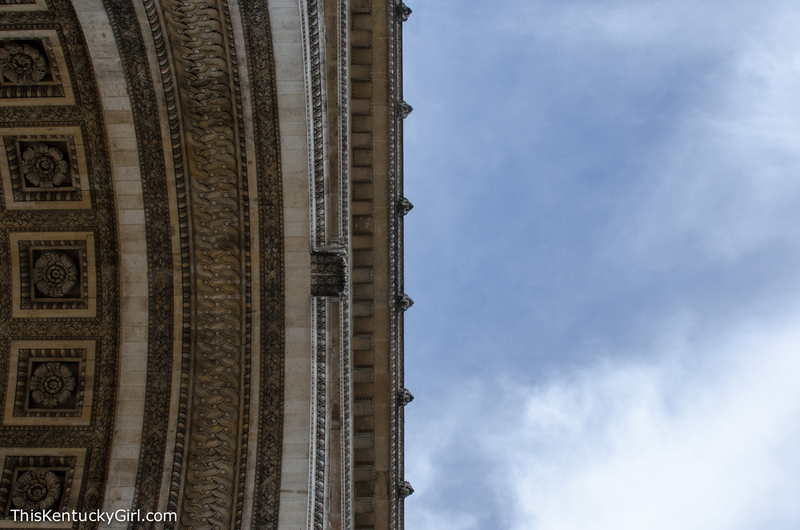 We were only inside the Arc, well, at the base of it for a few minutes before policemen began blowing whistles at everyone moving us all to the other side of a metal fence set up around the perimeter of the arc. Then a line of heavily medaled military formed and it was apparent that something big was about to go down. “Do you think it has something to do with Morgan Freeman?” I asked Andrew, thinking back to when we had been directed to different entrances a few times as we tried to get into the Louvre. There was a film being shot in Paris, starring him and ScarJo. “Maybe the French are going to honor Morgan Freeman here at the Arc de Triomphe tonight!” I got my hopes up slightly. We waited. And then some older French folk appeared. We started to leave and then saw some movement. No Morgan Freeman. Instead, it seemed like more of a memorial ceremony instead. We didn’t stay long, and instead made our way back towards our little French abode for one more night. Only seven flights up to the servants’ quarters where our gracious (and latest) couchsurfer host lent us her home while she was out of town for the long weekend.